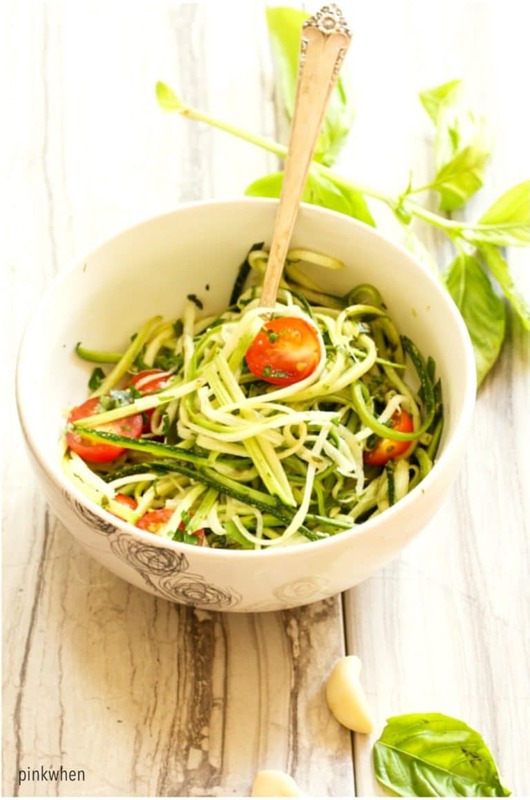 Zucchini Noodles are so delicious and so healthy, and they also make a great gluten free and wheat free recipe. I am such a huge fan of “zoodles”, I really can’t get enough of them. When you start adding in a few additional ingredients like pesto and give them a little zing, you won’t be able to get enough of them! I love this healthy zucchini noodles with pesto recipe, and I hope you enjoy it as much as I do. One of the biggest things to do when you are starting to eat healthier is to find those healthy substitutions. If you are new to the “healthy eating” game, it can get a little confusing and even sound downright disgusting. 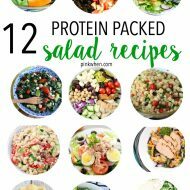 You just have to get over it and give these new healthy dishes a try. One of my favorites are zucchini noodles. 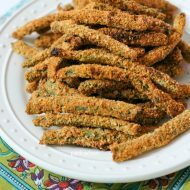 If you have never had these before, you are in for a healthy and a delicious treat. I like to dress up my zucchini noodles with a little pizazz. Just like my Shrimp Scampi Zoodles recipe, these zucchini noodles with pesto are amazing. To make the pesto, place the basil, walnuts, garlic and cheese into a food processor. Slowly add the olive oil and lemon juice until mixed well. Set aside. 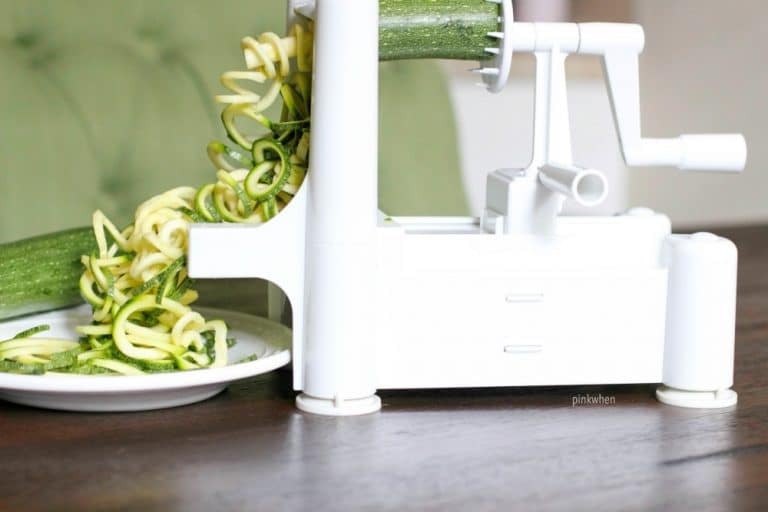 For the zucchini noodles, cut the ends off of the zucchini and then place into a spiralizer. I like to use the Paderno as it makes making zoodles quick and easy. If you want to heat the zucchini noodles, place into a sauce pan on medium heat with a tablespoon of olive oil. If you want to eat them cold, just toss them into the mixing bowl. Once you have all of the noodles made, stir in the tomatoes and the pesto and serve. 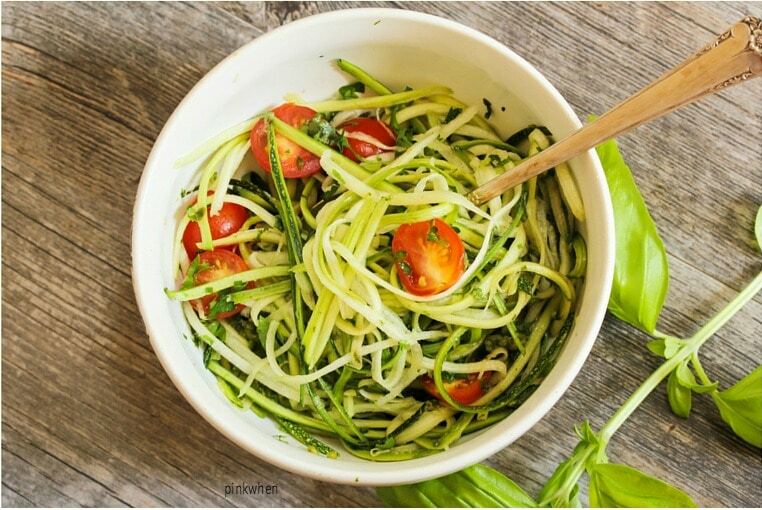 Zucchini Noodles with Pesto are AMAZING, and just downright healthier than regular pasta noodles.. 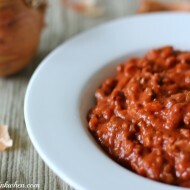 If you are looking for even more healthy recipes, you can check out all of the recipes I have over in the Simple Fit Forty Section of the blog. You will find things like an oven roasted whole chicken and even some savory sweet potato fries. YUM! I don’t have a spiralizer, but I am hearing about them all over. Might have to invest.. but it does seem to take up a fair amount of space. Hmmm….